I’m thrilled to be part of this new motion poem video project by Randall Edwards. 50 words made its debut on March 31, with my poem Begin. 12 poets were asked to pen a 50-word poem on the theme of ‘Beginnings.’ PRECISELY 50 words. No easy task, as it turns out. We laid down the vocal tracks in my kitchen last spring because I was too fragile from emergency surgery blah blah blah to venture out to Randy’s studio. He worked all the magic with sound and visuals. 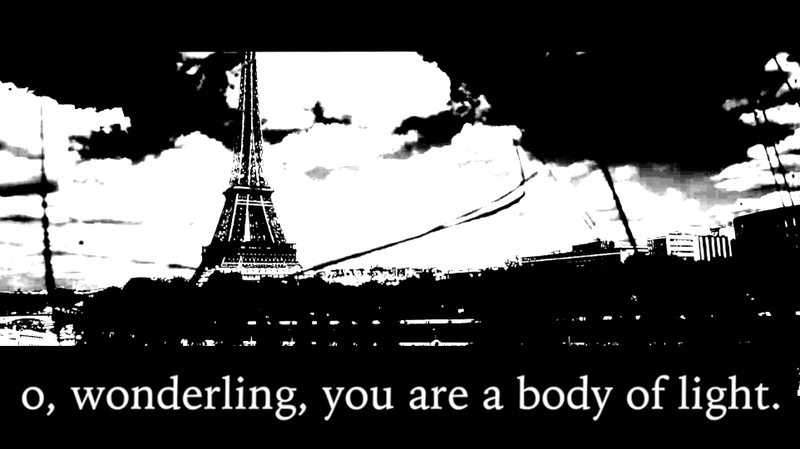 The result is this amazing work incorporating black&white images from my favourite place on earth, Paris. I must say, it feels great to be out in the world of art and poetry again. A new 50-word motion poem will be featured each month. UPDATE: The second installment is up, featuring Wolfgang Carstens (Awake). This entry was posted in art/write, photography, Poetry and tagged 50 Words project, Motion Poems, Poetry. Bookmark the permalink.